At the end, there will be handshakes and/or hugs (as there were above in 2014, 2015 and 2018). But now the budget process is about reconciling competing priorities. 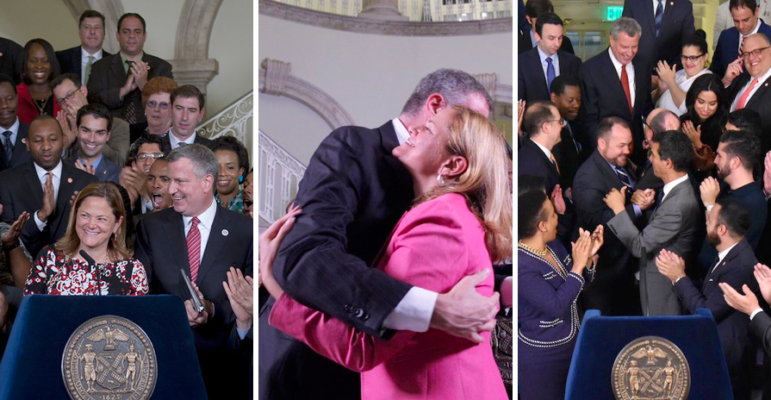 Now that the state budget is done, New York’s policy spotlight shifts to City Hall, where Mayor de Blasio and the City Council are entering the serious part of the annual debate over the city’s revenue and spending. The mayor issued his preliminary budget in February, and the Council has held hearings on that. On Tuesday came the next step: The Council put out its official budget response—a reaction to the mayor’s February blueprint. The Council’s budget statement runs to 71 pages and covers several dozens of topics. 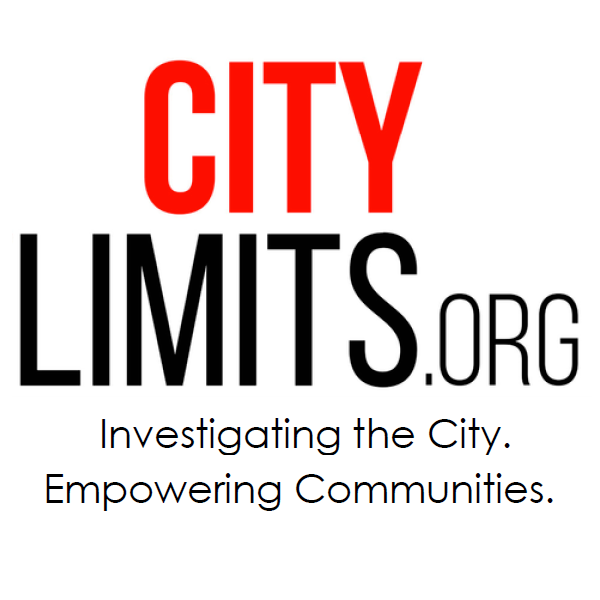 Several of those relate directly to issues City Limits has highlighted in its recent coverage. The Council calls on the Administration to ensure that every new bus lane should be camera enforced and physically separated from traffic along appropriate corridors where camera enforcement proves ineffective. In addition to the physical separation of bus lanes, the plan should also prioritize the implantation of two-way separated bus lanes in the median along key corridors, to keep buses free from conflicts with deliveries, turning vehicles, and double-parked cars wherever possible. The administration has financed its signature initiative, Pre-K for All, not only with a significant public investment, but also by paying the thousands of CBO teachers far less than their DOE counterparts. The administration’s effort to expand Universal Pre-K has relied on community-based organization (CBO) providers to serve about 60 percent of the 70,000 Pre-K students. … However, persistent pay disparities between teachers employed by DOE and similarly qualified teachers employed in community-based EarlyLearn and Pre-K centers have impacted the overall stability of the early childhood care and education system. As our Harry DiPrinzio reported in October, public defenders in city courtrooms often earn far less than the assistant district attorneys (ADAs) across the aisle—making it hard for indigent-defense agencies to maintain the experienced staff that help keep adversarial proceedings fair. The Council wants to see courtroom wages addressed in two ways: bringing ADAs up to the salary levels of the lawyers who work for the Law Department—price-tag $5 million—and, for another $15 million, bringing indigent-defense lawyers’ salaries up to the same level. Most police departments in the state of New York stick to “serious injury”–a much broader term–to determine whether a specialized unit will investigative a crash. Soon the mayor will release his executive budget, which is his final official proposal. Then the two sides will wrestle over details until striking a deal sometime before the start of the new fiscal year on July 1. Also highly visible: As the budget deadline nears, the City Hall steps will feature a steady stream of press conferences and protests by advocacy groups and community organizations pressing for their priorities.